Hi Sean, it looks like a fuel pump and rack for your engine, is that correct? If so yest there are marks on these things that must align to work properly. I have not done one of these pumps but I have done a CAV one for a big Lister diesel and I had it apart and together that many times it isn't funny. Any centre pop marks must be aligned and then it must be assembled the same way it came apart. I was lucky I went on an engine Forum and found an exploded view of the CAV pump/rack combination. SO if you are still having issues go to the Lister engine Forum and ask for any ideas or better any exploded diagrams to assist. Thanks John, do you know the web address to the Lister forum ? Like here a good bunch of guys. Another question for you, i am following the guide to fit the pumps & work out the shims required, I had taken out the pumps during renovation without understanding the shim importance. 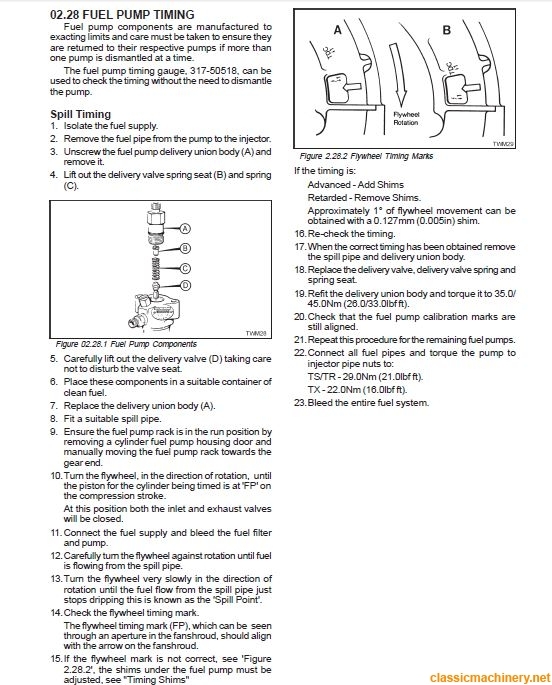 I cannot get the steps 12 to 14 to work, when I bleed the line at the FP position, turn the flywheel anti-clockwise I am not getting the fluid to travel up the pipe, the diesel goes down through the pump under the spring & into the sump. I don't know what or how the "spill pipe" is supposed to work. Can you understand the way to do this. Why is the diesel going down through the pump, every pump I have it happens so it can't be a faulty pump. Fred will be your man here. This is WAY out of my depth too. Apparently Fred is the man to help you out. Sounds like something is not in the right position for fuel to be dripping out the bottom, this I feel certain is not right at all. How sure are you about the assembly of the pump? I know from my one and only go at playing with a pump similar to this on a big CD 8hp Lister is that everything is made to an exacting tolerance so if any polishing with wet n dry paper has happened this may be an issue. Or it simply might have a part in place up side down. It took me many times at assembly to finally realise that a 'dot' on the needle was to face a certain way, once done it worked. Have you also had any time to visit the Lister Engine Forum? A lot of helpful guys there too. As frustrating as this feels now, once solved you will have that feeling of achievement and that does feel good. Keep working at it. Folks, sorted that, I didn't have the valve body on tight enough, it needs to be re-torqued after removing the inner spring. However I still cannot get the timing right. The eagle eyed among you will see that the heads are removed, in fact the barrells are only resting there, I am rebuilding engine & have new pistons, barrels & re-conditioned heads to go on. I was going to get the fuel timing correct before the barrells & heads were fitted but I spent a day going no-where on that. So I am now going to fit the barrells & heads & then go after the timing again. The TDC & FP marks on flywheel are correct going by the stroke of the pistons, but my spills timing are all over the place. So I will re-visit that again later. Spill timing should be easy enough, I rarely use a spill pipe as I have found it easier without. First check the cylinder whose pump you are setting is on the firing stroke and about 50 mm. below or 30 degrees before TDC and turn off the fuel supply. 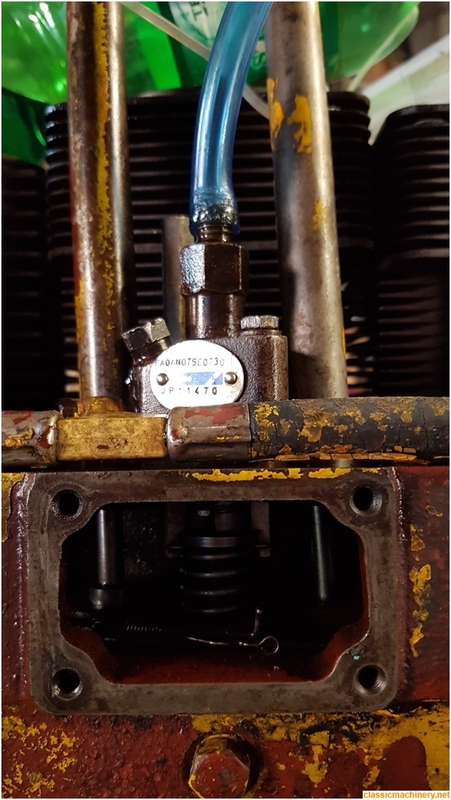 Remove threaded injector pipe fitting from top of the pump, take out the delivery valve and spring from under the fitting and then replace the fitting. Turn on the fuel supply and fuel will then well out of the fitting. Turn the engine very slowly in the direction of rotation and the flow of fuel will slow down to a stop. If you keep blowing the fuel away from the fitting as you go you will be able to determine the exact point at which the fuel stops flowing. That will be the spill cut-off point. The "FP" mark on the flywheel should then be aligned. If the "FP" mark on the flywheel is ahead of the "FP" mark on the housing you need to add shims, or if behind the mark take out shims and repeat the spill point check until the "FP" marks do line up. That was very well explained and hopefully if I ever need to do this I can refer back to this thread. Thanks you for explaining it in a way it makes sense. I noticed in a previous post mention of aligning marks when assembling an inj. pump. 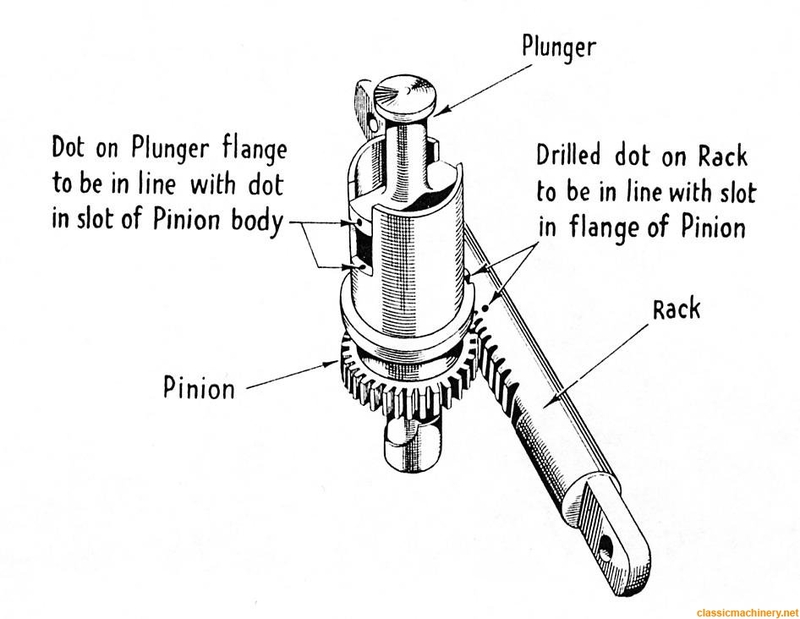 below is a general arrangement drawing of a similar arrangement showing where to look for these marks on the plunger and control sleeve and on the rack and pinion.